Imagine you are looking for a virtual assistant to help with your small business (a fairly good bet, seeing as you’re here right now). You narrow your choices down to two VAs. To make your decision, you bring up their websites. Both of the sites look good. They are cleaned and polished, not looking dated at all. There are lots of services offered, some solid testimonials, and the graphics and copy are all high quality. Ah, but then you visit the “Blog” sections. In one of them, you see that they haven’t updated their blog in over half a year. In the other, you see that their blog is updated on a weekly basis, without fail. So, who would choose to give your business? Well, if it were up to me, I would choose the one who has taken the time to update their blog regularly. It speaks to their level of customer service that, no matter what else they have going on or how busy they are, they still take the time to provide their customers with free and valuable content. Moreover, having the discipline required to write and post a weekly blog says a lot about their ability to juggle tasks and not put anything on the backburner. You need more reasons? Just read on! There are few things sadder than a dusty, old website that hasn’t been touched in months or even years. If you were a customer and logged onto a site that hadn’t been updated in a while, your opinion of that business would probably take a hit. This is one of the primary reasons why I recommend adding a weekly blog. By doing so, you will be making a regular update to the site. This will not only make your business appear alive and responsive to your online customers’ needs, but it will also greatly help with SEO, making sure that your site appears higher up in the Google search results! Content marketing has become a bit of a buzzword lately, but it’s honestly one of the most refreshing and genuinely honest forms of marketing out there. Often, a blog marks the difference between a website that offers customers nothing and a website that actively engages with the people looking at it. One of my favorite parts about walking around a store like Costco is all of the free samples everywhere. You get to try their products before you buy (and accumulate a decent meal along the way). Blogs work similarly to this. By providing potential customers with blogs full of genuinely valuable information, you are giving them a taste of your services and what they can expect from you. Let’s go back to my “looking for a virtual assistant” example. When you are looking for a virtual assistant (or really any skilled service), how can you be sure that the person actually knows what they are doing? A good indication is to check their blog section. Having a library of well-written blogs speaks volumes as to a business’ and an entrepreneur’s expertise. Moreover, those blogs can eventually be compiled into an ebook you can either sell or offer as a free email opt-in on your website. This will further solidify your reputation as an expert, plus give you another valuable piece of content for your customers! What is the Optimal Length for a Blog? Well, that all depends on what you’re talking about. A blog doesn’t need to be super long to be effective. In fact, having too much text can sometimes scare customers away. If a customer sees a giant block of text with no paragraph breaks, they might conclude that reading it isn’t worth their time. On the other hand, if you are writing about a technical issue, then you might need a lengthy blog to impart all of the information. I think that a general purpose blog should be around 800-1000 words, give or take a hundred. If you are writing a technical blog, then upwards of 2000 words might not be out of the question. 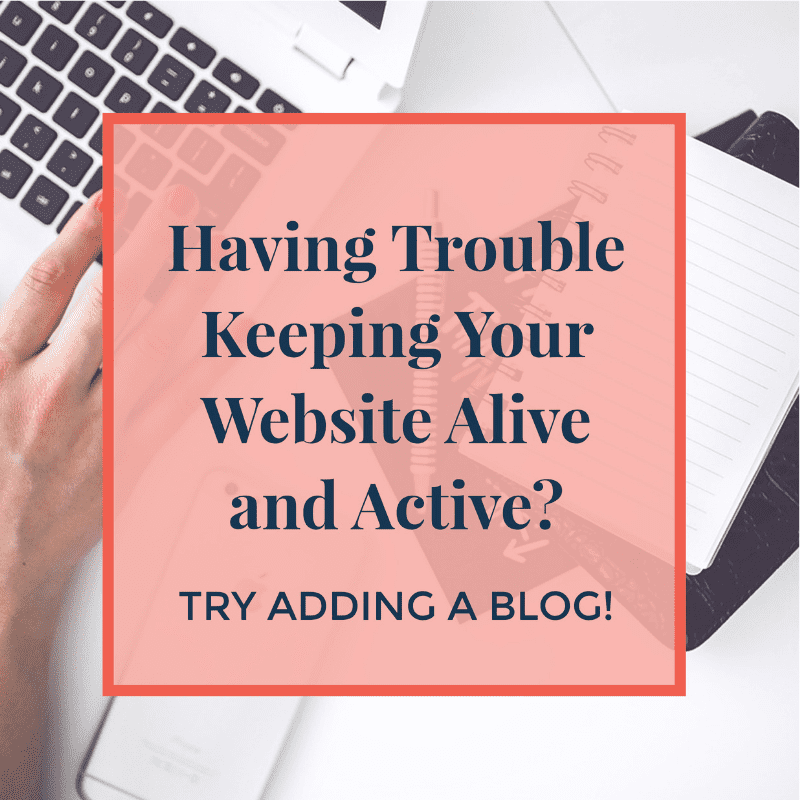 If you had a blog on your website for years, but all of them are now out of date, don’t despair. With just a little bit of a refresh, they can still be a valuable resource for marketing purposes. Sometimes, all an old blog needs is a quick edit or rewrite to make the information current with your business. Maybe you might want to attach a new opt-in to them, or you merely wish to remove dated references so that they will continue to be relevant in the future. It can be a bit time-consuming, but it’s a perfect job for a virtual assistant. Hiring a VA to go through all of your old blogs and giving them a good polish can be a fantastic and cost-effective way of getting a ton of “new” content in a very short time. Having a weekly blog on your website is only one of the components you need on to provide a great user experience. Your copy needs to be snappy and engaging; you need beautiful and eye-catching graphics; the flow of the site needs to be logical and easy to navigate. And, yes, you should have a blog as well! If you want some help keeping all of these balls in the air when you start work on your new site, then I have just the thing. If you can’t remember the last time you updated your website, then it’s well overdue! If you aren’t yet in a place where you want to consider a full revamp of your site from the ground up, then creating a weekly blog is the perfect way to make sure that it remains alive and active in Google’s search results! I invite you to contact me and we can discuss exactly what kind of a blog would be perfect for you and your business! For some examples of business that do blogging right, I recommend checking out AnneSage.com and BearCreekFelting.com. Aside from having fantastic websites, they also update their blogs on a regular basis!